Timely Air Conditioning Repairs for a Cool, Comfortable Home Whenever your AC unit breaks down, we'll be there to provide you with fast and affordable repair solutions. Are you tired of coming home to a hot, humid house, even when your AC system is set to run? When your air conditioner has broken down, you need expert AC repairs fast—which is exactly what you’ll find with Deluxe Air. Since 2009, Deluxe Air has been serving Northern California with emergency air conditioner repairs and affordable solutions to get your home back to a cool and comfortable state as quickly as possible. 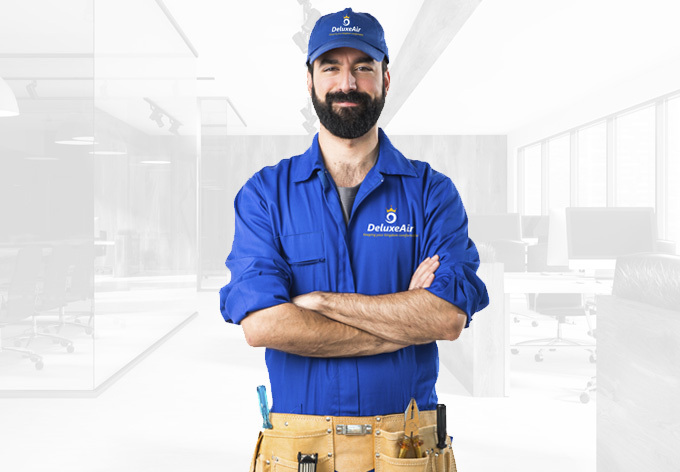 With our fully stocked trucks and industry-leading installers, you can feel confident knowing that your air conditioning repairs are in the best of hands. Hard work , honesty, quality,integrity and fairness are our founding values. Call us now! and professionally to guarantee your complete satisfaction. up with fully stocked trucks to get the job done fast. We respect your schedule with all of our services, and our AC repairs are no exception. We’ll be out to your house quickly at a time that suits your busy life. Our crews don’t just show up on-time—they get the repairs done right the first time with high-quality parts and components backed by our warranties. Deluxe Air is NATE-certified showcasing our company-wide commitment to putting people before profits. Dealing with an emergency AC repair might be the last thing you were expecting, but we take the stress out of the situation with our competitive pricing and financing options. Request a Free Quote Today for Northern California AC Repair! Dealing with a malfunctioning AC system doesn’t have to ruin your day! Instead of worrying about living without the comfort of air conditioning, give the professionals at Deluxe Air a call to learn more about how our repair specialists can help! If you’d like to request a free price estimate and consultation for your air conditioning service in Northern California, you can also fill out our online form now.